You don’t have to spend your days sunning yourself on the beach to look like a honey-hued beach babe (in fact please DON’T fry yourself in the sun! Today’s “healthy glow” is tomorrow’s skin damage!). I never ever sunbathe – however I love looking tan and bronzy. I wear bronzing powder pretty much every day, it’s my desert island pick. Now, over the years I’ve been known to sometimes overdo the tan and end up looking a bit more Malibu Barbie than I’d like. But trial and error has brought me to a place where I will confidently state that I’ve nailed the way to look sun-kissed rather than sun-tangoed! I’ve teamed up with makeup artist Anna Priadka to show you the no-fail way to apply just the right amount of bronzer and highlighter for a natural golden glow. 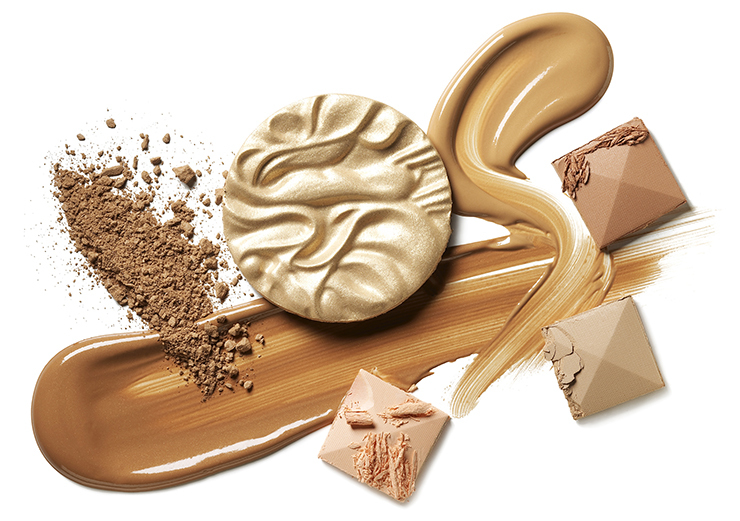 1 Luminous bronzing powder is most universally flattering on all skin types. Too much shimmer makes you look artificially metallic and ultra-matte can look a bit dirty. I love the texture of the Nars Sun Wash Diffusing Bronzer, because it’s super weightless. It delivers a non-glossy finish that feels more skin-like than flat. Plus, the formula contains a soft-blurring technology that conceals imperfections. 2 The right brush is so important – I used to use a massive fluffy brush until Anna introduced me to the Nars Mie Kabuki Brush and that really was a game changer! I feel I have more control on bronzer placement when I sweep it over my forehead (making sure to get it into the hairline), the apples of my cheeks, down the bridge of my nose and over my neck. 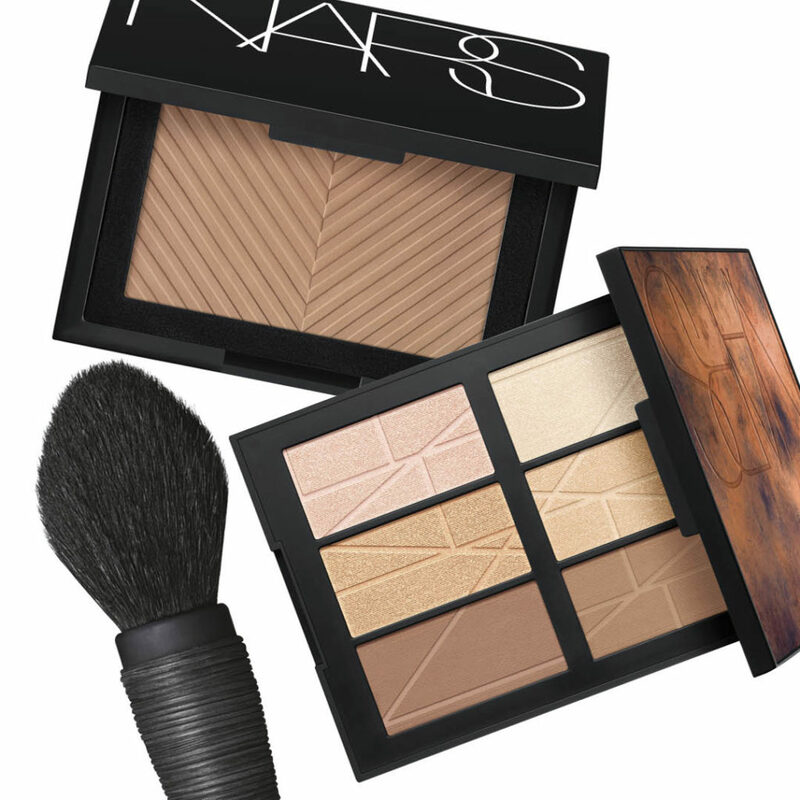 3 Nars Bord de Plage Palette is the ultimate one-step glow which warms up skin and shimmers up lids and cheeks. The four luminous powders catch the light so beautifully – never sparkly, just radiant. Two of the hues are gold-flecked which enhance yellow-based complexions, whilst the two pearl and rose shades work perfectly for those with cooler, pinkish skin tones. 4 I like to use two shades of bronzer to sculpt my face – the Bord de Plage Palette houses, ‘Laguna’, a medium tone and ‘Casino’, a medium deep hue. I’ll use Laguna as my bronzer all-over to bring warmth to my skin and then Casino to lift and sculpt my cheeks and jawline. I blend it directly under my cheekbones to my ears and then I’ll swipe it under my chin, up along my jawline. 5 Remember: you want to appear sun-kissed not tan. For a pretty sheen that mimics bare skin, use a circular motion with your brush and diffuse the bronzer and highlighter as you work your way around the face. This blog post is kindly sponsored by Nars.